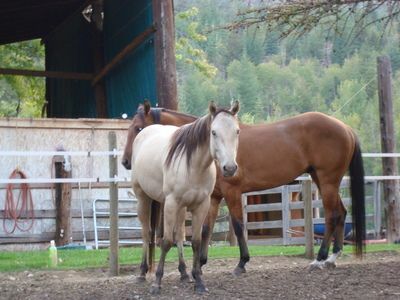 Flash is the new addition to the Harding Heights Ranch horses. 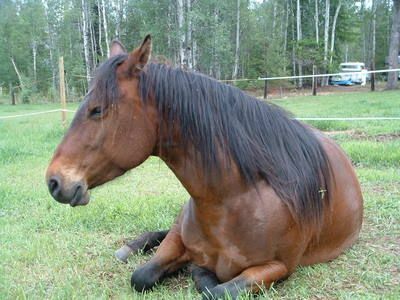 Harding Heights Ranch most handsome horse, Rowan, is a 9 year old Suffield Mustang who we rescued in 2005. He is a very comical, bright horse and loves to do tricks. 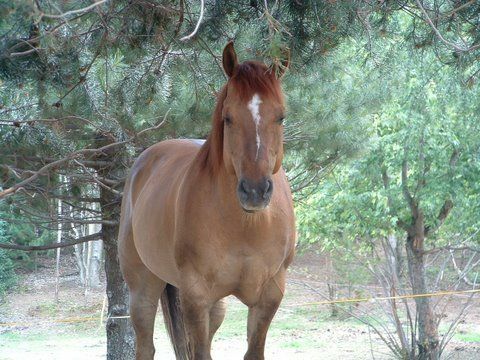 Rowan is a stallion and has one offspring who lives at Harding Heights, 4 year old Dottie. We like to think of Rowan as one of our mascots here at the farm. Rowan is ridden solely by me (Shauntelle Harding). Rowan has very gentle eyes and can be a very mushy boy! Need a description of Cactus. 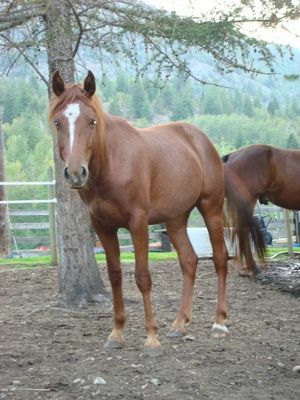 Hollywood is a sweet, gentle, beautiful 9 yr old registered Quarter Horse mare. She is a bay in color and stands about 14.1 hands. Hollywood loves children and has one offspring of her own here at Harding Heights, Millie. Holly is a wonderful mount and loves to go out for trail rides. 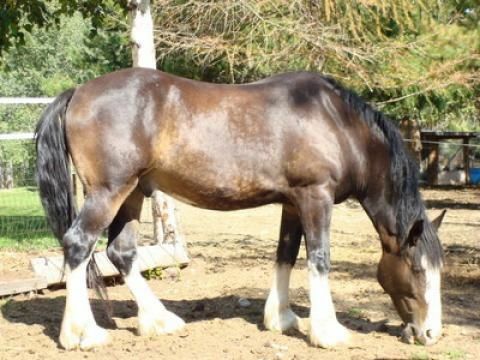 She is very sturdily build and is a very muscular horse. Sophie was a rescue. She is also a Suffield Mustang. She is 9 years old. 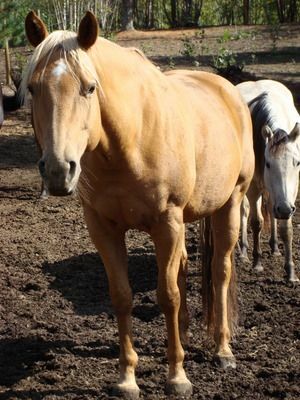 Sophie is a sorrel mare with a flaxen mane and tail. Sophie is very sweet and loves people. She is always giving out love. 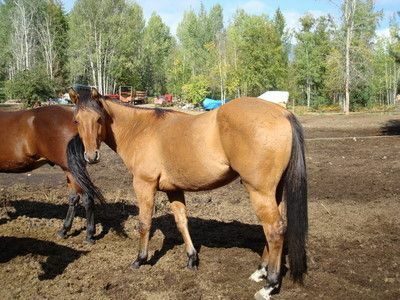 Sophie is a great mountain horse, has amazing hooves and will take you anywhere. She is not afraid of anything and can lead or follow. Sophie stands around 15.1hh and is a very good all around horse. 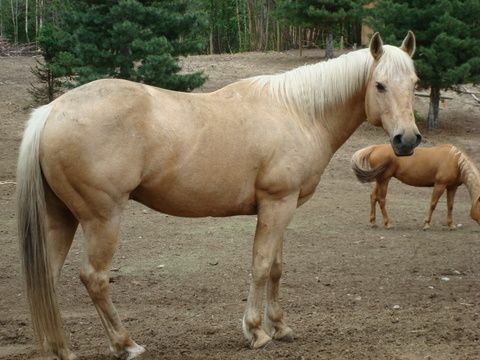 Sunny D is a 19 year old palomino gelding. 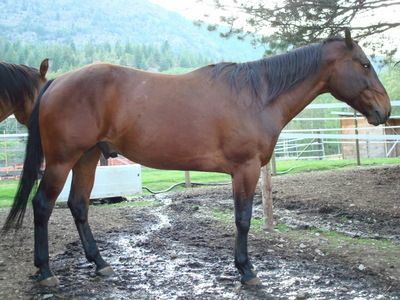 He is a registered Quarter Horse and stands around 14.2hh. Sunny D is a steady Eddie on the trail and is as sure footed as they come. He is a wonderful, caring horse when it comes to children. Sonny D had lost his left eye in an incident as a 3 year old before we owned him, you would never know it though as he has done so well! Sunny D is your picture perfect mountain pony! Tari is the sweetest, most gentle horse especially with kids. Tari is the sweetest, most gentle horse especially with kids. 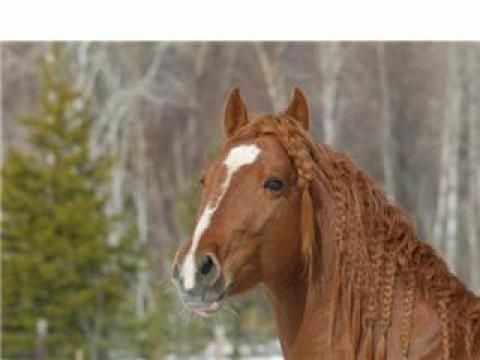 She is the perfect kids horse and is so caring in nature. 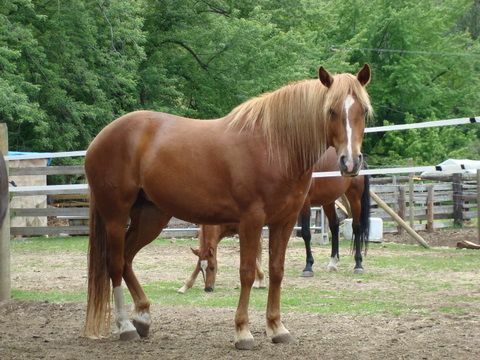 Tari is a golden palomino and is a registered Quarter Horse. 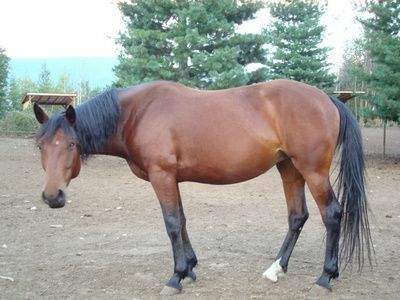 She is 17 years old and stands about 15.2hh. Tari is sure footed and a great all around horse. Tari is one of the favorites when it comes to the kids.